Hoop Nut 2017 FIBA Asia Cup FIBA FIBA Asia International Kazakhstan #FIBAAsia: Will Kazakhstan recreate the magic of 2007? 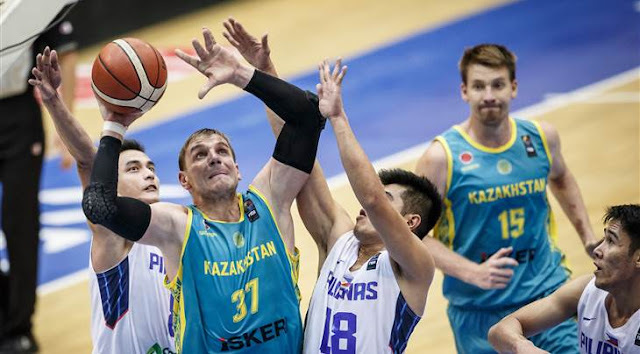 #FIBAAsia: Will Kazakhstan recreate the magic of 2007? Can Kazakhstan rediscover the magic that gave them their best ever-finish in FIBA Asia? In the early 2000s, Kazakhstan were considered a rising power in Asian basketball. They won the bronze medal in the Asian Games 2002 and followed it up being very competitive in the continental competitions of the next few years. It all culminated in the FIBA Asia Championship 2007, where, powered by a sublime mix of seasoned veterans and rising stars, the Central Asian powerhouse broke into the tournament Semi-Finals for the first time in history and finished among the competition's top four teams. In many ways, that was the peak of Kazakhstan basketball, and it was the closest the team got to qualifying to any world level men's competition. Kazakhstan had 4 wins and 4 losses in 2007, highlighted by massive victories over traditional title contenders Japan and Korea. The team's success revolved around the efforts of a handful of talented 20-somethings: Yevgeniy Issakov, Mikhail Yevstigneyev, Rustam Yargaliev and then 19-year-old sensation Anton Ponomarev. They combined for 56.9 of the team's average of 81.5 points per game, and, not surprisingly, their performance in the tournament turned a lot of heads. Their youth and production, combined with their top four finish, made a lot of Asian basketball observers label them as the team of the future. It was, of course, a reasonable observation, and one that certainly fueled an increase in expectations for the national team. Things, however, didn't really go as planned in the succeeding years. The Kazakhs tumbled to 9th place in 2009 before the disaster of 2011. Just four years after their magical top four result in 2007, they hit rock-bottom when they missed out on the 2011 edition of the tournament entirely. They returned to the biennial meet in 2013, making it to the Quarter-Finals, and once again qualified in 2015, but they finished outside of the top 10 for the first time since 1997. Clearly things have not gone smoothly for Kazakhstan despite the continued presence of most of their top flight players with Yargaliev, Ponomarev and Yevstigneyev remaining as fixtures of the national pool. Issakov, meanwhile, saw his quality of play degrade and as a result never returned to national duty since 2007. Is it possible at all for the Kazakhs to experience a resurgence ten years after their landmark top four finish? I think it is, especially because they have an influx of up-and-coming players who can inherit the mantle of leadership from the previous generation. I'm talking about guys like Pavel Ilin, Nikolay Bazhkin, Anatoliy Kolesnikov, Rustam Murzagaliyev and Alexandr Zhigulin. We can even add naturalized point guard Jerry Jamar Johnson, who has yet to fully unleash his arsenal in any FIBA Asia tournament. It will be a tall task, for sure, but if these players can raise their level in the FIBA Asia Cup 2017 together with consistent production and leadership from their veterans, Kazakhstan may just be able to summon the same kind of magic they did in 2007.